Treyarnon Bay is a classic north coast beach with a long stretch of golden sand and rolling waves, but the cliffs here are low and surrounded by some extensive areas of rock, forming lots of pools in their nooks and gullies, especially on the northern side. For a fabulous immersive experience, take a snorkel around the swimming pool, a semi-natural pool high on the northern rocks which is refilled with sea water at every tide. Treyarnon is off the B3726 Newquay-Padstow coast road. There is a pay-for car park just above the beach. Treyarnon Bay is also on the coast path. Public toilets and a café are located just above the beach (these may only be open in high-season). The beach has a lifeguard service during the high season. There’s no shortage of accommodation in the area if you’d like to extend your rockpooling adventures. This is an exposed shore so you’ll need to look into the pools and search for hiding places in holes in the rock or under seaweeds, but there are lots of creatures to be found. 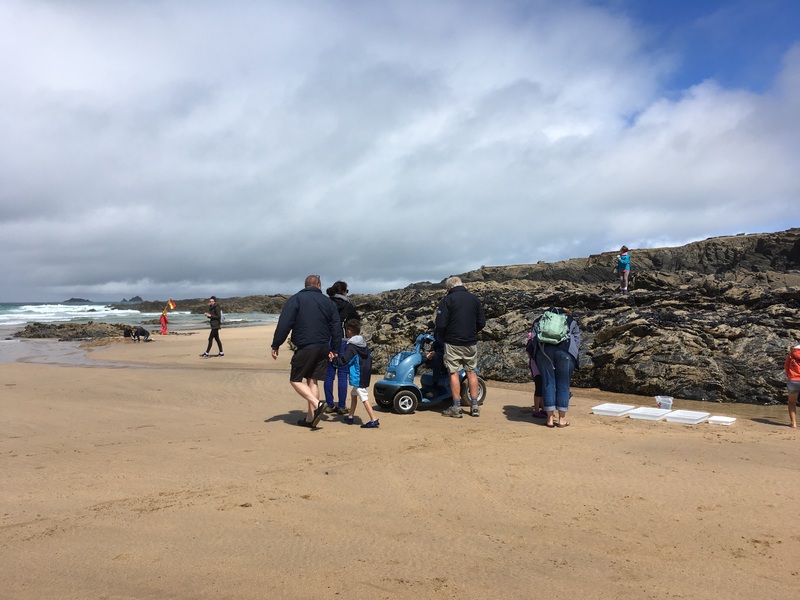 Look out for shore crabs and edible crabs among the rocks and sea hares on the seaweed. 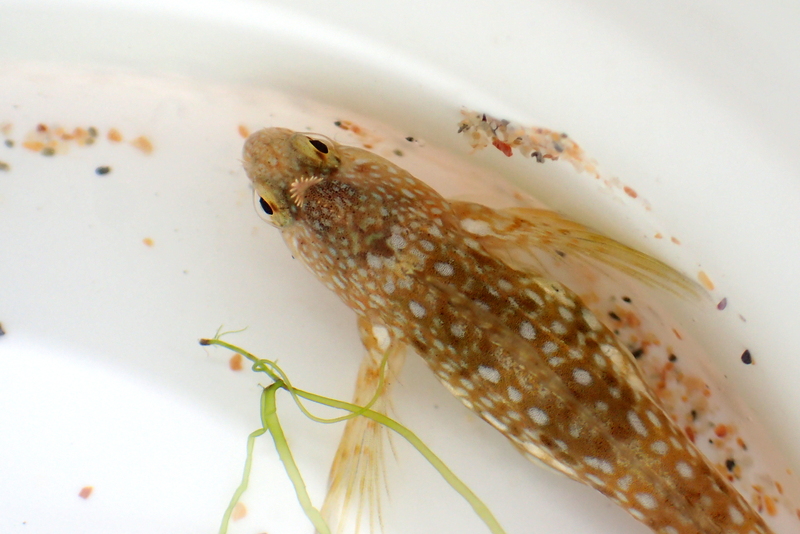 The small but fabulous Montagu’s blenny with its headgear like a little Christmas tree, likes the wave-swept pools here. 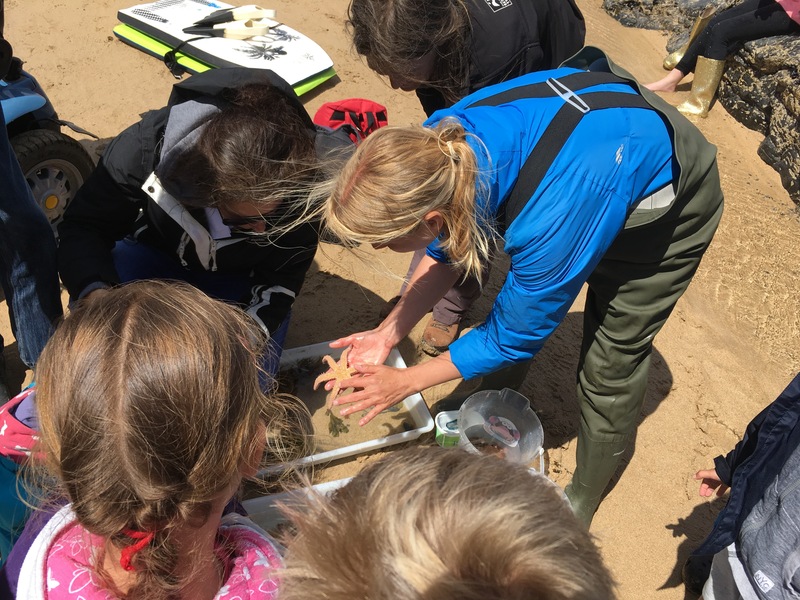 Treyarnon is also a great place to find treasures washed in by the sea such as mermaids’ purses (the egg cases of sharks and rays) and all sorts of jellyfish. 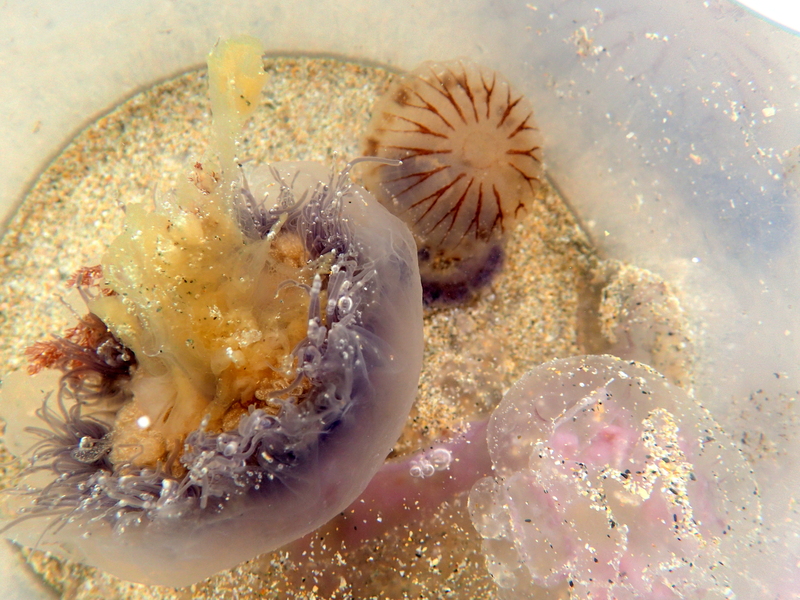 A jellyfish medley at Treyarnon Bay! Left is a blue jellyfish, top is a compass jellyfish and bottom-right is a moon jellyfish.